Moving into a new apartment is a lot of things: exciting, time consuming and for some a new experience. If this is your first time moving into an apartment or even if you’re just moving to a different unit, why not ease the stress of it all by hiring a local mover? 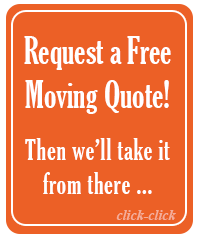 But not just any mover, you’ll want the very best apartment movers available who have experience moving in Portland. North Park Transfer & Storage of Portland has been meeting the moving service needs of those in the area for over 35 years. We offer benefits such as competitive pricing and unmatched customer service. North Park Transfer & Storage of Portland has the expertise to deliver a smooth and efficient move at an affordable price. If you’re getting ready for a local, long distance or international apartment move, rely on the help of Portland movers who have been trusted by thousands: North Park Transfer & Storage of Portland. We know how important your belongings are to you and that’s why, when you choose to move with us, you’ll get started by talking to one of our Portland moving coordinators. Your move coordinator will answer all your questions and make sure you are properly quoted for all the moving services you need. Nothing is left behind or mishandled when working with our highly trained apartment movers. One of the things that makes us a preferred apartment moving company in Portland is that we have a wide variety of moving and packing supplies that our movers use to securely pack all your belongings. Whether you’re packing glass or clothing we have you covered with the necessary packing supplies you’ll need to properly pack all items. Our apartment movers have years of experience and will ensure that all your items are properly handled during the process with nothing lost or damaged. To avoid any risk of damaging the apartment or your belongings that are too big to fit through the doorway, they will be carefully dismantled and put back together once at the new apartment. Here at North Park Transfer & Storage of Portland we go the extra mile to ensure that your belongings arrive in the same condition as you left them in. Our commitment to protecting your belongings can be seen in the fact that we make sure all the heavier items are loaded below waist level, wrapped and covered if necessary and all the lighter items are loaded up top. There’s no need to worry about crushed dishes or mangled boxes when you choose North Park for your apartment move. At North Park Transfer & Storage of Portland, we know that your time can be just as valuable as the items in your home, so we strive to be as timely and efficient as possible during your apartment move. When working with us, you will always have access to one of our customer service representatives to answer any questions that come up during the moving process and to offer you moving tips and update you on the progress of your apartment move. 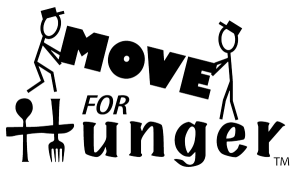 If you’re planning on moving in or out of an apartment in the Portland area don’t just look for cheap movers in Portland, call an apartment mover you can trust. With over 35 years of experience, North Park has gained itself a reputation of being customer oriented and a cut above the rest. Our experienced apartment movers successfully facilitate hundreds of moves per year. So, whether you’re moving locally, coming in from out of state or getting ready to move overseas, call a moving company that has your moving needs in mind. Here at North Park Transfer & Storage of Portland, no job is too big. Trust our professionals for your apartment move. For a free quote call us today or fill out our free online quote form. but your people were polite and friendly and made this tough move easy for my children and me. Your company moved my furniture and personal items with care and unpacked them the same way. I would recommend North Park Transfer and Storage to anyone facing relocation.